Healthcare is constantly evolving, so it can be difficult for marketers to keep their finger on the pulse of the industry and know which healthcare marketing strategies to put into practice. But despite recent governmental changes and growing patient distrust, the healthcare industry is full of opportunities to help brands and businesses make healthy progress with patients. 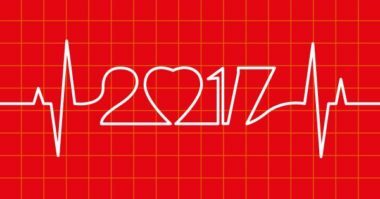 This year, healthcare marketers need to focus on finding the best opportunities and leveraging their full potential. To know which areas to attend to in the coming year, examine the following seven healthcare marketing trends and learn tips for practicing them properly. Patients and their families have always found support and information by engaging with their fellow sufferers. In recent years, this interaction has moved online. Now, patients want the same kind of engagement from businesses and brands. While most industries have responded to this need for engagement, healthcare has lagged behind. This has led to consumer distrust and doubt of many healthcare organizations, especially pharma. According to a recent report by PricewaterhouseCooper (PwC), pharmaceutical companies will finally strive to increase engagement with patients in 2017. The motivation for greater engagement comes primarily from the need to justify their prices, demonstrate their value, and regain the trust of patients. But this new focus on engagement will also be due to FDA rules and regulations that make consumer engagement a central part of the FDA regulatory approvals process. Experts say that pharma can achieve better patient engagement by developing user-friendly mobile apps and creating valuable services that satisfy patients’ needs for immediate access to healthcare information. Prescription for Following This Trend: Healthcare and pharma marketers will need to concentrate on engaging early and regularly with patients by continually providing helpful tools and information that increase their engagement and trust. Today, mobile has become a mainstay in patients’ lives, with more and more of them using their smartphones and tablets to search online for healthcare information, as well as research medical products and find local healthcare providers. According to Callboxinc.com, a sure-fire way to attract new is by optimizing websites for mobile viewing. Luckily, some healthcare brands and providers have already embarked on mobile by developing mobile-optimized versions of their websites. But simply having a mobile-optimized site will no longer be enough for patients in 2017. The content throughout the mobile site will need to be specifically written and designed for mobile. It will also need to be easily accessed by patients on the go. Prescription for Following This Trend: If the healthcare brand or provider already has a mobile website, the next priority is closely reviewing its content to ensure that it meets the unique needs of patients on all kinds of mobile devices. To know which content to focus on optimizing first, experts advise examining recent analytics of the website pages that receive the most mobile views. With the abundance of healthcare content available on the web, patients have an overwhelming amount of information vying to be viewed. This has led to the urgent need for high-quality content to capture audience attention, as well as conform to strict online search guidelines that give priority to original, compelling, well-crafted content and penalize lower-quality content. Both leading search engine Google and top social network Facebook have been going to great lengths to ensure that lower-quality content ranks poorly in search, while rewarding higher-quality content with higher search rankings. 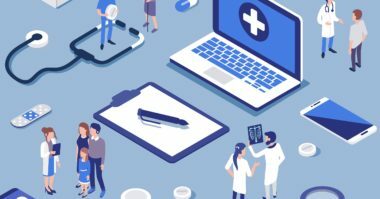 This year, healthcare marketers, brands, and providers will need to put an emphasis on crafting high-quality content, such as sharing relevant healthcare information or telling unique, pertinent patient stories. Tell stories with empathy and compassion, rather than writing them as a straightforward source of information. This storytelling tactic has proven to be extremely effective and will ensure that the content connects on a deeper level with patients. Make sure that all content is completely accurate to provide patients with maximum value, as well as avoid having it perceived as confusing or misleading. Personalize content as much as possible to make it resonate with patients on a personal level. By crafting content that’s relevant to the patient’s journey, patients will develop an emotional connection with brands and providers, which will improve patient retention, advocacy, and loyalty. 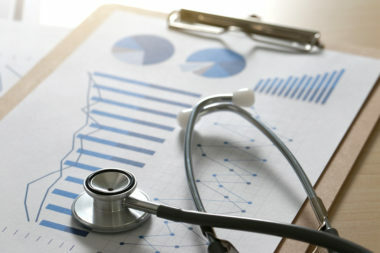 According to FranklinStreet.com, sharing unique or special patient-focused moments that occur in the organization can humanize, distinguish, and endear the brand or provider to patients. This is as simple as writing stories or producing videos about the everyday, meaningful gestures that the staff does for patients to improve both their experiences and lives. Consumers are sick of invasive online ads like pop-ups and banners, but they still want relevant, discreet messages that provide them with something of value. This is exactly what native advertising can do. Native ads blend seamlessly into a website and appear to be a source of useful information, rather than a form of advertising. How effective are native ads? DedicatedMedia.com reported that native ads are actually viewed 53% more than banner ads, which tend to be seen as disruptive and end up ignored by consumers. But native ads capture consumer attention by naturally fitting into their online surroundings and being relevant to personal needs. Prescription for Following This Trend: Healthcare marketers should start experimenting with native advertising. But first, research will be needed to understand the many differences of native ads and approach the practice properly. Once its value becomes clear, this tactic should be integrated into the current marketing strategy to gain the many benefits of this patient-friendly practice. Today, many factors are straining our current healthcare resources, such as the longevity of Baby Boomers, a rise in insured patients, and the growing public interest in staying well. As a result, there’s a huge demand for healthcare, but only a limited number of providers. The solution to this problem may be found in telemedicine. Advances in technology are now providing patients with access to remote, immediate, relevant healthcare services. According to Callboxinc.com, telemedicine offers many benefits to both patients and providers, such as more convenient healthcare, faster medical response, better provider/patient relationships, and greater efficiency. The ubiquity of connectivity methods, like mobile devices, emails, texts, and virtual health-monitoring devices facilitate telemedicine by allowing patients and providers to communicate with ease and remotely treat various health conditions. And offering telemedicine services can help a healthcare provider stand out from the competition. In 2017, both patients and providers will be willing to explore telemedicine. In fact, recent PwC research found that 60% of patients were open to virtual doctor visits, while 50% were interested in using do-it-yourself diagnostic tests. Prescription for Following This Trend: To promote the widespread acceptance of telemedicine in 2017, healthcare marketers will need to educate patients about its many advantages. And healthcare providers will need to start offering these services and marketing them to patients. If both providers and patients can accept telemedicine, experts say that is could greatly improve the entire practice of healthcare. While leading social media networks like Facebook and Twitter will remain popular places to socialize in 2017, HealthcareSuccess.com reported that social messaging apps like Snapchat and Messenger will emerge as the latest hubs for online social contact. Social messaging apps have already evolved into multi-purpose platforms in other parts of the world, so it was only a matter of time until this trend grew in popularity in the U.S. As the use of social messaging apps expands into healthcare, industry experts predict that new healthcare marketing opportunities will soon follow. Prescription for Following This Trend: Healthcare marketers will need to start developing a presence on rapidly growing social messaging apps. This will help develop a patient following on these platforms and open the door to unlimited marketing and engagement opportunities. In 2017, providing patients with an outstanding care experience will become a top priority. Studies have shown that the quality of the patient experience has become a leading factor in the patient’s choice of provider. Additional research has shown that dispensing a superior patient experience improves both a provider’s reputation and their bottom line. Prescription for Following This Trend: Consider what patients want in their care experiences and start to provide these benefits. While the patient experience has always been important, it will take on a huge meaning in the future and determine the healthcare providers and services that patients choose to use. Treat yourself to the latest news in healthcare marketing. Contact MDG Advertising.